An Artist Talk & Reception will be held on Saturday, Nov. 10, 3 – 5 PM. Visual Arts Coordinator, Neil Daigle Orians will engage with Plater in a dialogue surrounding her work and process. Real Art Ways is pleased to present Sofia Plater, one of six recipients of the 2018 Real Art Awards, a project supported in part by an award from the National Endowment of the Arts. To learn more about this project, click here. 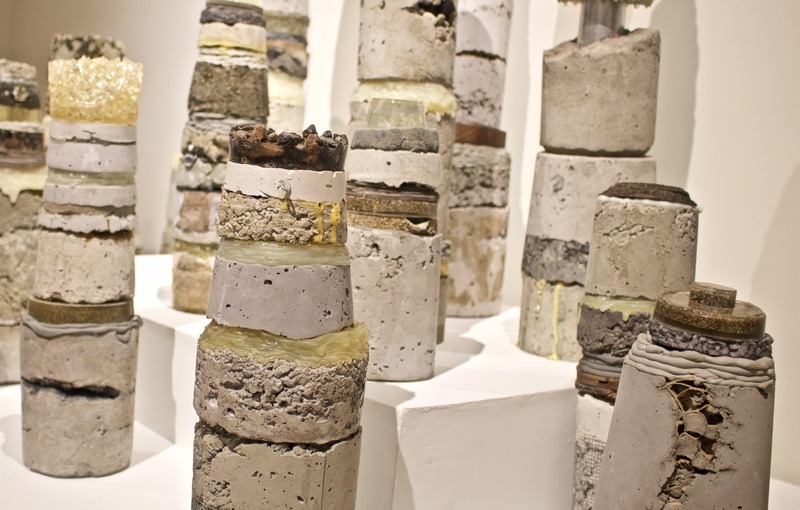 Plater’s work utilizes found objects and textures to create sculptural installations, forming dialogues between the original objects and newly cast pieces. 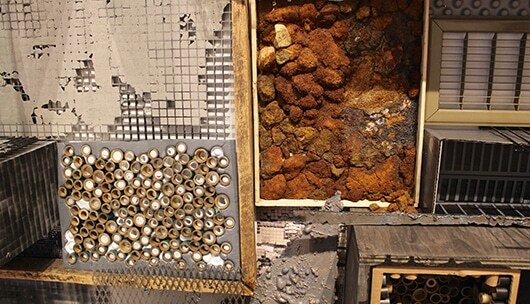 Construction materials, cardboard, and other miscellania form a cohesive aesthetic that is simultaneously organic and synthetic. To learn more about Sofia Plater’s work, visit her website here. Sofia Plater is a mixed-media artist from Boston, Massachusetts. She received her MFA from The School of the Museum of Fine Arts at Tufts University in 2018 and her BFA in Fine Arts from Boston College in 2011. While enrolled in the Master’s degree program, Sofia received the Montague Travel grant, allowing her to travel and research in Scotland in early 2018. 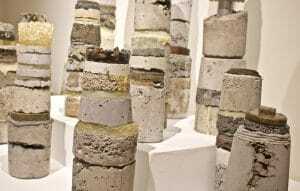 The same month, she curated her first solo show featuring nineteen sculptural works at Factory Mark Gallery in Framingham, MA. In the past year, Sofia has participated in numerous group exhibitions, and was featured in a twenty-two-page article for Peripheral ARTeries Art Review Magazine. Sofia was the first artist in residence at the 77Art program, in Rutland, Vermont for the month of August 2018. Before pursuing her Master’s of Fine Arts degree, she was the art program director and art instructor at The New Britain Youth Museum, in central Connecticut. "After an engaging studio visit, I recognized that Sofia’s work is similar to her personality; unexpectedly bubbly, curious, and mysterious in all the right ways. Her installation should not be missed."